Today’s the third morning I’ve watched an urgent, furious ruckus in my front garden. A bird screaming its head off while furiously chasing another like a fighter jet in hot pursuit. So fast that I couldn’t get a good view as the target dashed in and out of the copse of trees and shrubs. I was facing into the sunrise which meant even when I got a half-decent glimpse it was of a silhouette with his beak open, screaming like a banshee. Interesting! Made me late for work! 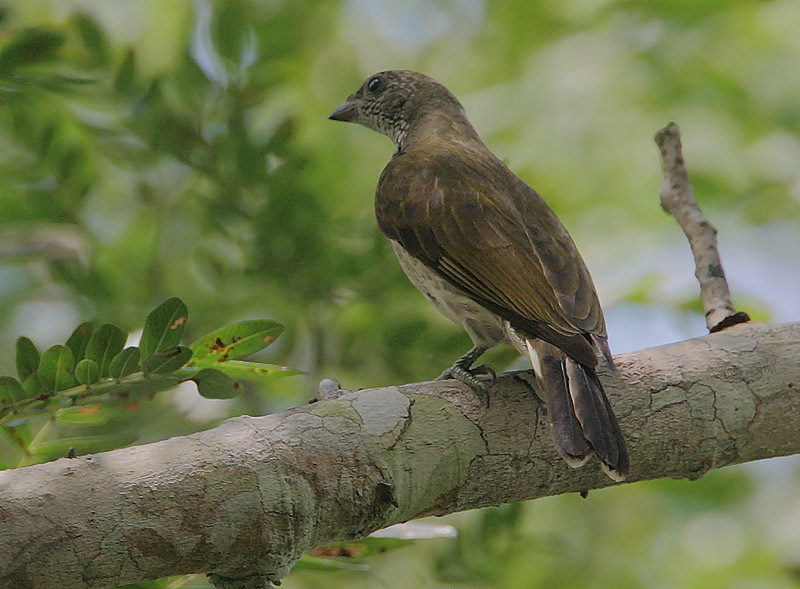 I figured it was a black-collared barbet, and if so that would be a hole-nest parasite he’d be chasing – which would be a honeyguide. But I needed to see. Yesterday I got a good view of the pursuer: Red face and throat, stout beak. That was him alright. Today I got a glimpse of the suspect: White outer tail feathers. 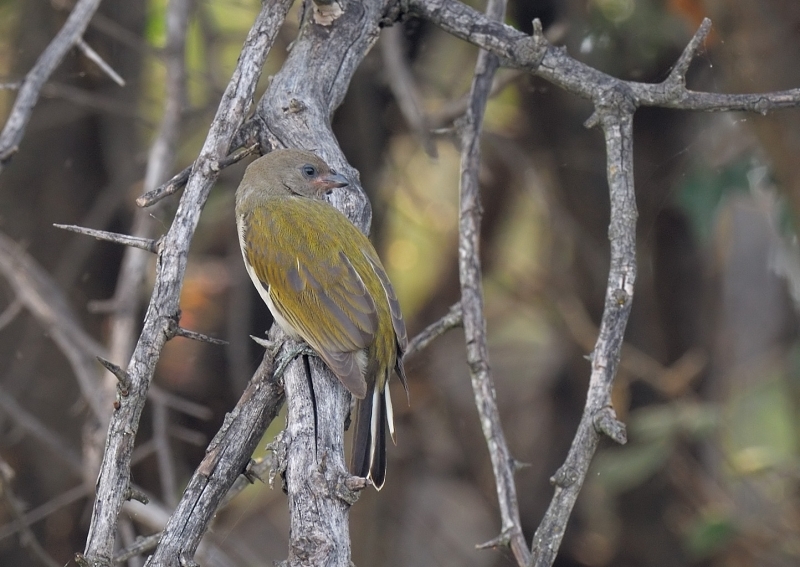 Most likely a Lesser or Scaly-throated Honeyguide. I’ll try to make sure, but I don’t think he’ll be sitting still in plain view anytime soon. I wonder if it’s the male, and while the barbet is doing his over-zealous patrol, his lady friend is plopping her egg in the hole nest?! 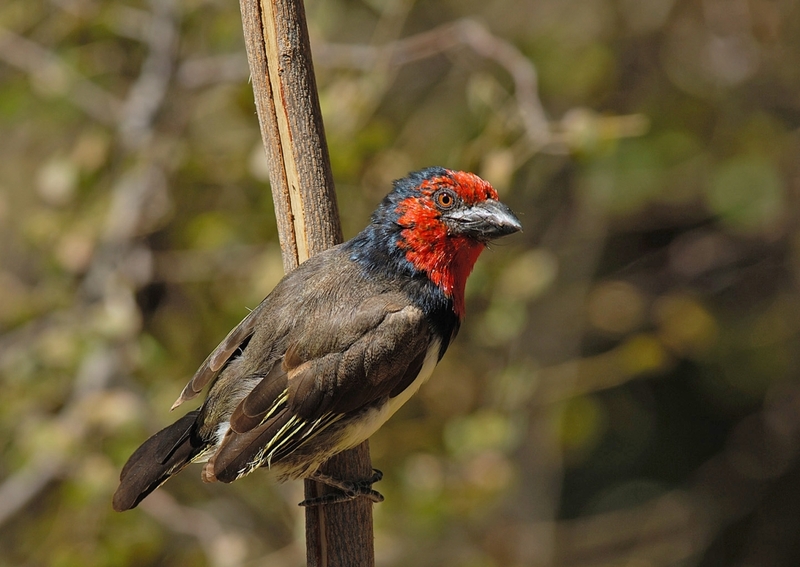 I’m on their side – I hope they lay their egg in the barbet’s nest so a luta (the struggle) can continua!